In the April issue of Wood News, Mark Miller introduced us to the tiny shop he was putting together in his new studio apartment, and discussed some of the potential complexities of downsizing to such a small space from a full sized workshop. 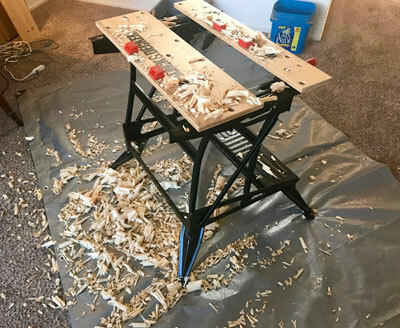 Mark followed up in the June issue of Wood News with more thoughts about what it has been like getting set up do do woodworking in such a small space, including using a makeshift workbench, cleaning up the ‘shop, tool storage, finishing in a small space and more. If you find yourself in a smaller than ideal workspace for your woodworking, check out Mark’s articles – he has some good suggestions that might help you get your best work out of a small space!